Fill these concrete hands with your choice of plants. Price does not include cost of plants. Join us for this fun morning where you will make a beautiful succulent frame, similar to the example photo. Create your own customized herb planter! Please register by September 22. 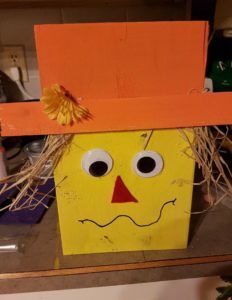 We will be making a wooden scarecrow and a wooden welcome sign. Make your own burlap wreath. Cost includes all materials. Register early, classes fill up fast. 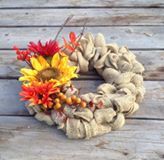 Make your own Burlap Wreath. Cost includes all supplies. Pre-register as soon as possible - classes fill up fast. Build a witch and cat decoration. Cost includes all supplies. Pre-register as soon as possible - classes fill up fast. 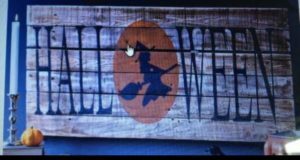 Get in the Halloween spirit with this sign. Cost includes all supplies. Pre-register as soon as possible - classes fill up fast. 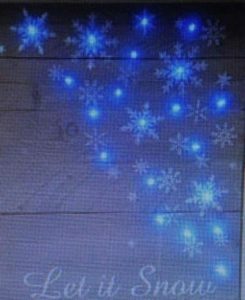 Build this Let it Snow sign that lights up! Cost includes all supplies. Pre-register as soon as possible - classes fill up fast.